The Preventive Recommendations form is a two-part carbonless form which includes a take-home sheet for parents to document recommended diet, hygiene, fluoride and treatment. 100 forms per tablet. 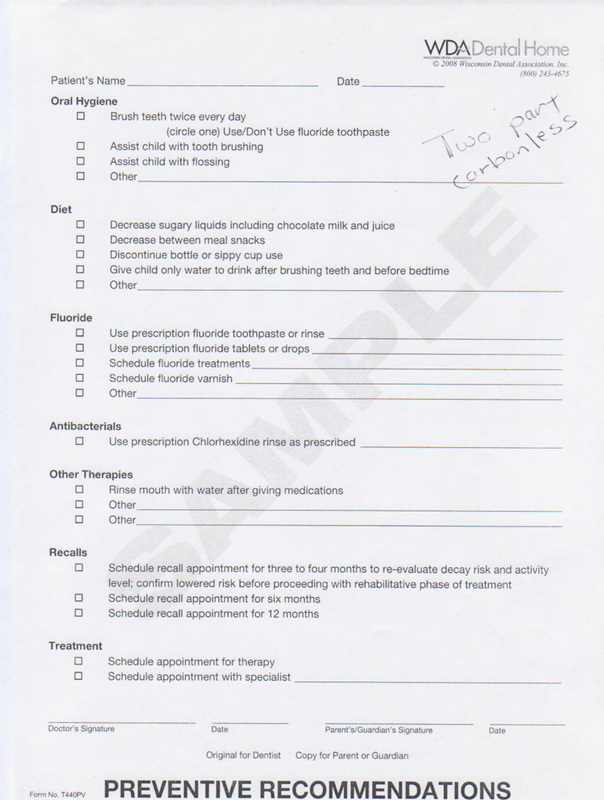 Preventative Recommendations is a two-part carbonless form which includes a take-home sheet for parents to document recommended diet, hygiene, fluoride and treatment. Shrinkwrapped in sets of 100.